Need a break from the city? 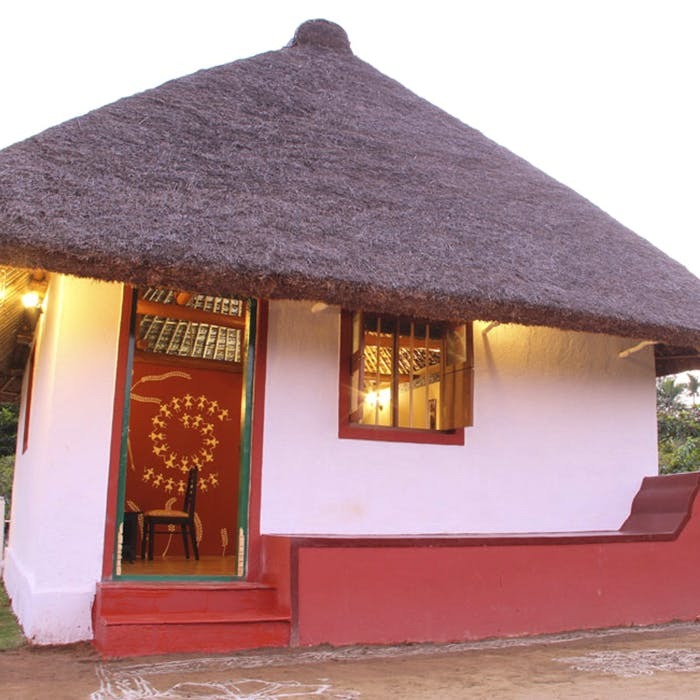 Head to Malgudi Farm Resort in Hoskote, an eco-friendly resort where you can enjoy campfires, eat home-cooked meals and live the farm life. If you're already grumbling about 2019 and are secretly wishing to go back in time to the good ole Malgudi days, we have some good news for you. Tucked away in the outskirts of Bangalore (just two hours away from the city), there's a rustic, old-fashioned resort that will remind you of the simpler life (before the internet, that is!). Leave the chaos of the city far behind and head to this 7-acre farmland to get back to your roots. Not only is it eco-friendly (they have a policy of zero wastage of food and water), but you'll also get a glimpse of the country life. Whether it's strolling through the vineyard, trying your hand at farming in the community garden or feeding cattle in the barn, you'll enjoy being close to nature. Take your kids along too, and let them interact with all the animals in the farm - there are goats, cows, dogs and an aviary full of different kinds of birds! What we loved best, though, was their thatch-roofed cottages. Featuring tribal art against brightly painted backgrounds, the rooms within these cottages are spacious, comfy (we loved the simplicity of the furniture) and squeaky clean. Priced at upwards of INR 3,500 per night, it's perfect for a much-needed digital detox (there's no Wi-Fi or TV in the rooms here!). Plus, for INR 300 you get to eat filling desi meals for lunch and dinner. There's more than enough space to have a campfire and a BBQ sesh, so it's perfect to bond with your family, or chill with the squad!